Use our online ticket maker to create a stylishly designed ticket that’s just as awe-inspiring as the event you’re hosting. 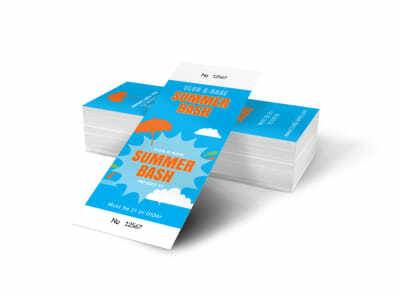 MyCreativeShop has hundreds of easy-to-use and ready-to-print ticket templates to make ticket designing a snap! As long as there are events, there will always be an admittance. And as long as there is an admittance, there will always be tickets. Even in today’s digital world, physically-printed tickets continue to provide value to businesses. 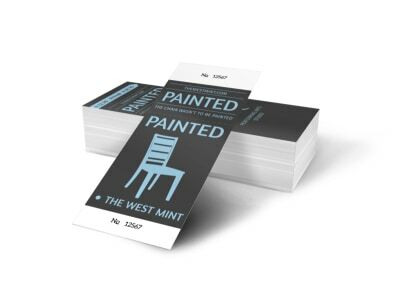 Outside of their practical purpose, printed tickets serve as a constant and portable brand reminder to customers who use them. And in some cases, tickets can be a brand loyalty reminder if they’re kept as a memento. At MyCreativeShop, let us help bring a professional, creative, and print-ready design to your business’ ticketing needs. When to Use a Ticket? (Is a Ticket Right for You)? 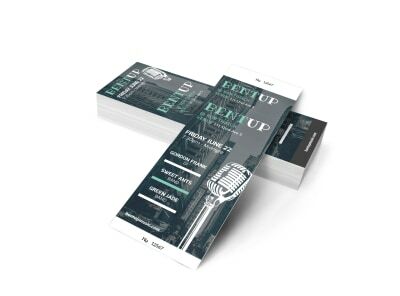 Tickets can be used for a wide range of events. From concerts and parties to festivals and marathons, tickets can be used as portable promoters for your brand and sponsorships. 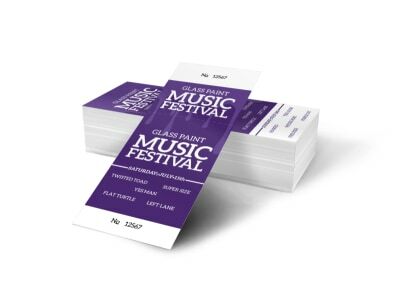 Promoters of events, such as multi-band festivals, can also get in on the action by offering advance tickets at tiered pricing with promotional offers printed right on the tickets themselves. From a discount on local parking to VIP-level ticketing for reserved sections of your venue, printed tickets for your event can help keep it organized! From Roaring ‘20s-themed New Year’s Eve parties to charitable events, printable tickets can increase the excitement long before patrons arrive to take part in the fun. Encourage donations for your cause of choice by printing the name of the charitable organization you’re representing on the ticket itself. Additionally, if your event offers free, discounted, or valet parking, you can let patrons know in advance by printing that information on the ticket itself. No need to race around at the last minute organizing a marathon! Tickets can help you accurately keep track of registered participants and their friends and family cheering them on in the stands! Why Make a Ticket with Us? Because a raffle ticket simply won’t do your brand the justice it deserves. Let us help you create a ticket that represents the same level of professionalism that you want your brand to convey. The smallest details can add up to help your business or brand stand out in a big way. Take it from the experts. When it comes to your brand, your business, your message...There’s only one shop that’s top: MyCreativeShop.